It's awe inspiring why just writing a 7 instead of 6 behind the 2-0-0 is such a big deal. Perhaps it's symbollism or a ritual, nevertheless it's worth saying: "Happy new year." And in a more religious note, 'Selamat Idul Adha' and 'Merry Christmas'. My hands have been itching all winter vacation to write about my (our) trip to Spain. For those who love travelling, today's blog is particularly for you. I hope it motivates you to get out of your seat and plan a vacation, anywhere - even another town next to yours -, soon. Just as other people's vacation stories has made me plan this one. 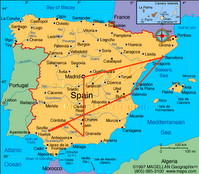 To give you a picture of the route I chose, here's a map of Spain along with the route we travelled. We started by plane from Amsterdam to Barcelona. Arriving on 8.35, we took the 10.00AM bus to Valencia. After thorough research, intercity bus remains to be the safest and most reliable transportation service in Spain. However, the 2 to 10 hour long bus rides can be too much. Though trains travel less frequently and takes even longer, the change of scenery and method could really help - it's less boring that way. 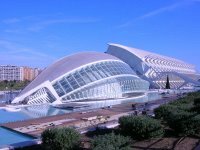 If you have the extra money to spend, planes from Valencia to Seville and Madrid to Bacelona are available. They cost around EUR100-200 more expensive than bus (bus tickets are a mere EUR10-50). This city was one of Arya's personal favourite. I have to admit the stroll along the old part of the city was nice and just with a public bus ride away you can get a totally different, and modern, experience. 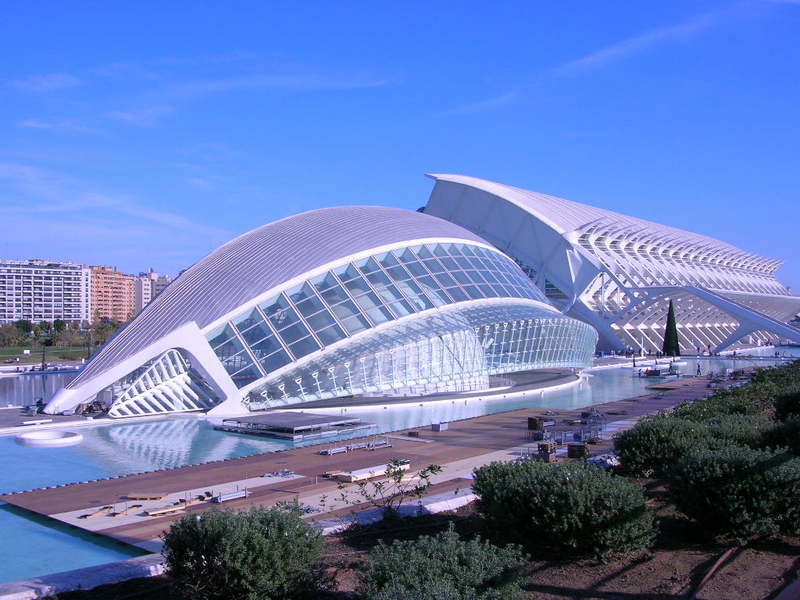 But hands down, the Ciudad de las Artes y las Ciencias de Valencia was my favourite part of experiencing the city. Its enchanting exterior architecture is so indescribably beautiful that it took us an hour outside the buildings just to sink it all in. Alas! Wait until you get inside. Though the Art Centre is still under construction, the Science Centre and the Aquarium are both more than worth visiting. 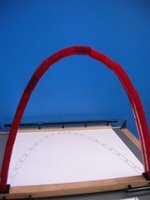 The centres are for the child in us, a mixture of popular physics, biology to even sports sciences (did you know that gymnasts weigh less nowadays than in their early establishment?). 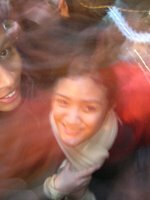 One of my favourites though, was the mere everyday physics happening around us - that we never contemplated as much as it deserves contemplating. But for those who have less curiousity in science and more love to animals, the aquarium is just a stroll away; with a collection of penguins, sharks and seals (even ducks, the hell they put them there when these things run free in city ponds). And after a long day of learning and experiencing, the cafe in the l'Hemisferic (cine imax) serves great coffee both on the taste buds and easy on the wallet. Enjoy! It's best to arrange the 9.5 hour bus ride from Valencia to Seville during the night since you can spend an overnighter on the bus - but if not, plane is perhaps a good alternative. This city however, was my personal favourite. I was a bit freaked out when I realised our hotel was in the middle of small alleys - but it turned out to be so beautiful and exotic (though located in the centre and a mere EUR 50/night) that I was beginning to think I was in an old film. I would say Seville is a good place to get lost in. The narrow alleys are maze-like and suddenly you find yourself in the old historic centre with the Giralda Tower on one side and the beautiful Alcazar on the other. 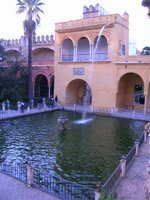 It was here, in the middle of the Alcazar gardens, when I realised that Spain, particularly the Andalucia, is perhaps one of the most controversial spots on earth (historically speaking). Just within the architecture you can sense the tugging powers between the two religions with the most followers in the world - Christianity and Islam. 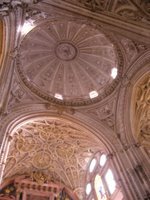 Cathedrals turned into mosques and mosques into cathedrals - and how Spain claims to be Catholic (even the atheists claim to be Catholics, isn't that interesting?). It never seizes to amaze me how power struggles are always apparent in art. 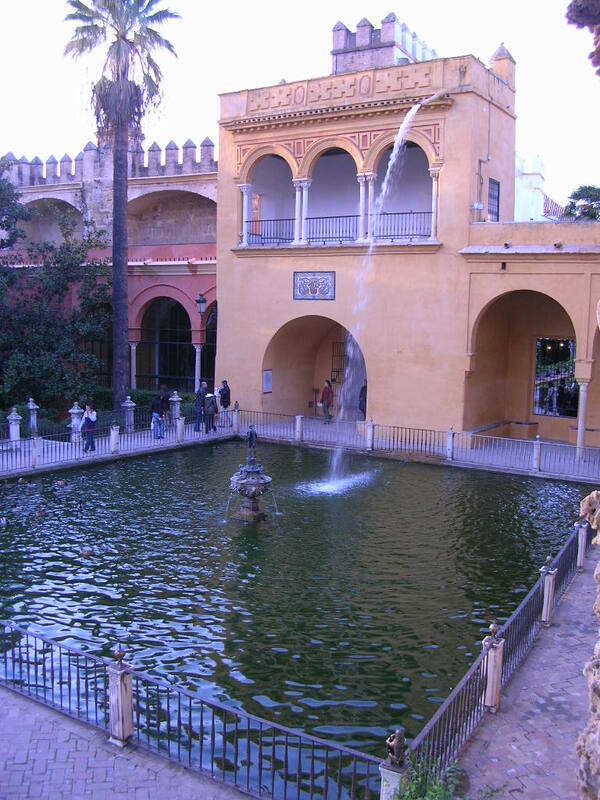 And if you do think so, Seville would be a splendid journey for you. Ah, Cordoba. Ah, the Mezquita. Though under reconstruction (and one can only imagine how beautiful this old part of the town would be after everything is restored), the Mezquita and its surrounding environment was breathtaking. I carefully took my time lingering in the Mezquita - the Mihrab (where the imam leads the prayers), the history behind the restoration, the ideological brochures and the typicality of the arches. I couldn't put down my camera and had to take pictures of everything I could lay my eyes on and breathe in the charm of this former mosque/current cathedral. The old pictures of when the Christians rebuilt the mosque into a cathedral - though maintaining its mosque-like form, is worth studying. 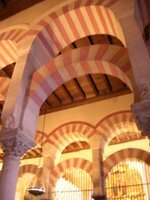 History has its own pleasure and Cordoba is the place to indulge.. Without even having to consider that, I would say the Mezquita alone makes Cordoba worth visiting. It is perhaps safe to say that Alhambra is the embodiment of Granada. 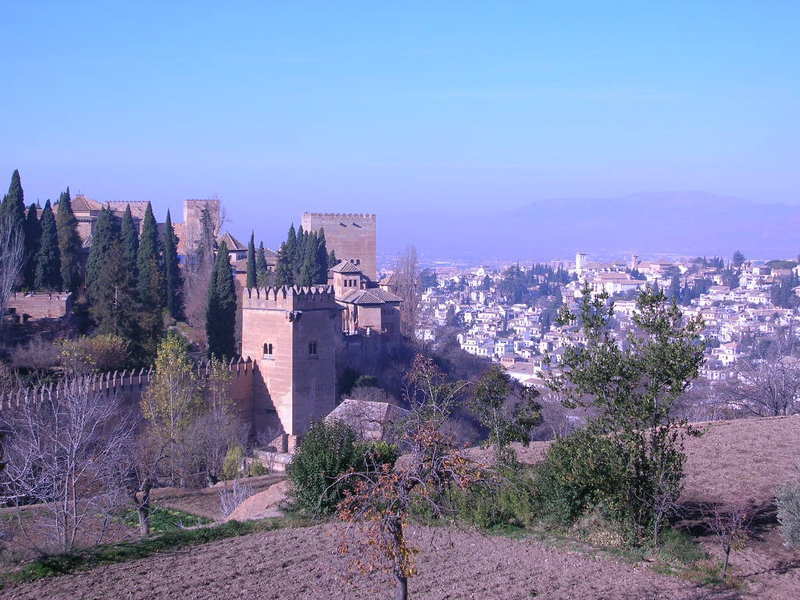 It seems to me that most people travel to Granada to exprience the Alhambra (which is of course very true. The view is breathtaking and the walks soulfeeding). 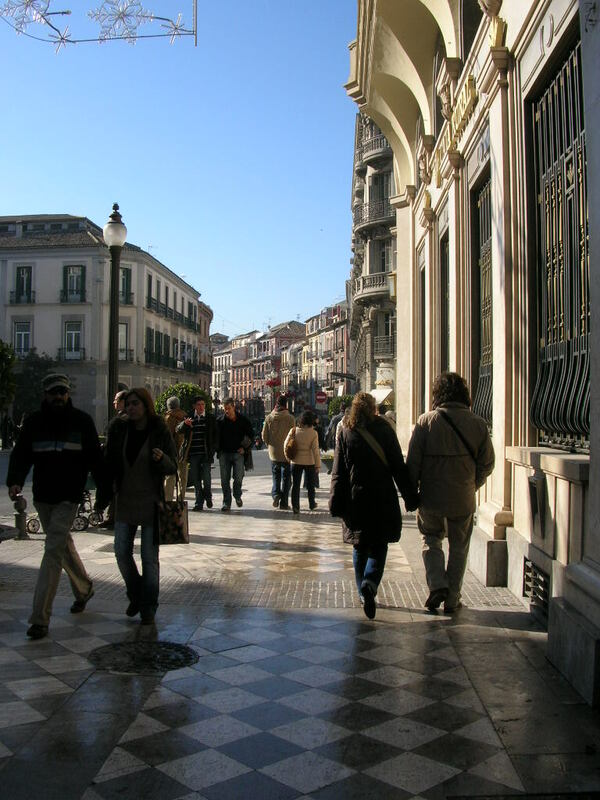 But Granada is a lively and calming city in the same time. The city centre is a mix of old and new (though mostly old) that has honestly exceeded my expectations. Note: A wise friend of mine advised me to book ahead for tickets to Alhambra. She was absolutely right! Buy online and avoid the long lines! Pay attention to the time you reserved to enter the Nasrid Palace. The bus ride? 5 hours. But after spending so much time on the bus that moment I would have done anything to ride anything but (maybe next time take the train by this stop). We spent new years at the commercial Puerta del Sol, which was a mosh pit of human beings (women, bring your men - it is unsafe (in a less sexist more survival sense)). The fireworks were stunning though afterwards we were too exhausted to linger and stay for more. The Madrid metro system is note-worthy and is number 2 to Paris' in my opinion. And since lodging in the city centre is ridiculously expensive, it would be a smart decision to either stay in a hostal within the centre or a known hotel in the suburb after buying a metrobus 10 viajes. Note: Attention shoppers, Madrid is an excellent spree!! 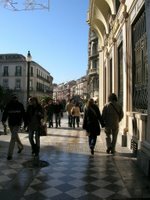 Take a long walk through Puerta del Sol to Plaza Mayor and Plaza San Miguel for an experience of the old part of the town - then lead your way to Palacio Real de Madrid. Football fans, take the metro to the city's football stadium and take ego-indulging pictures. 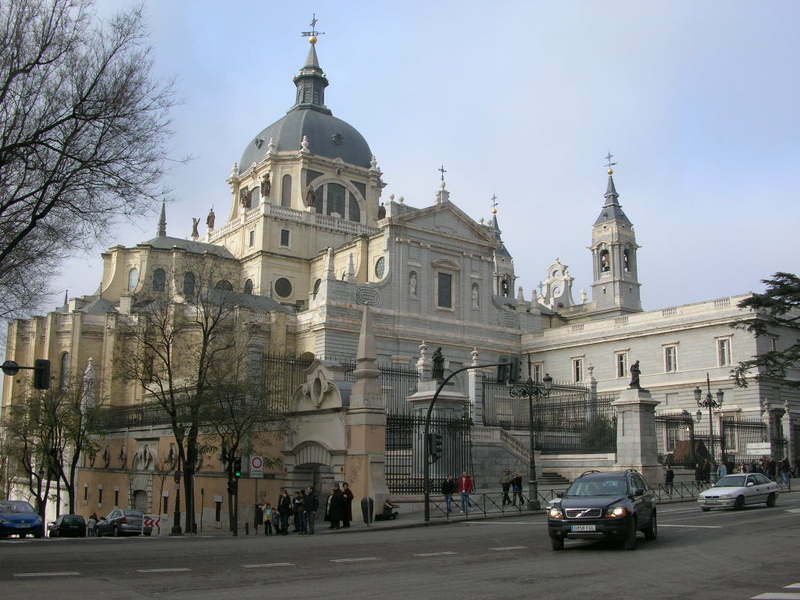 Art lovers, Museo del Prado is a must! 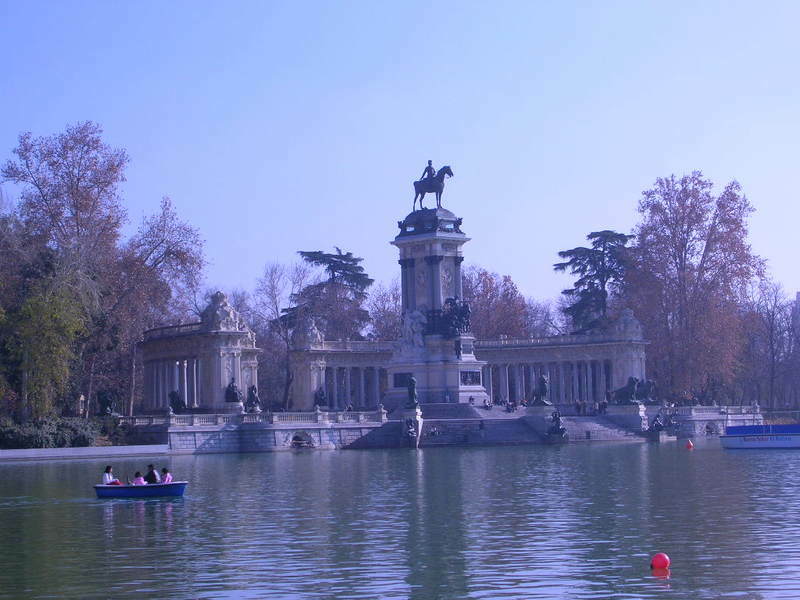 For those with partners (then again, also those who enjoy solitude), take a romantic walk in the city's park and rent a row boat for a good laugh.... 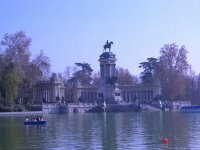 In short, Madrid is definitely one the best cities in the world. By this stop, we have seen too many churches and old historic centres to be able to appreciate Barcelona sufficiently. 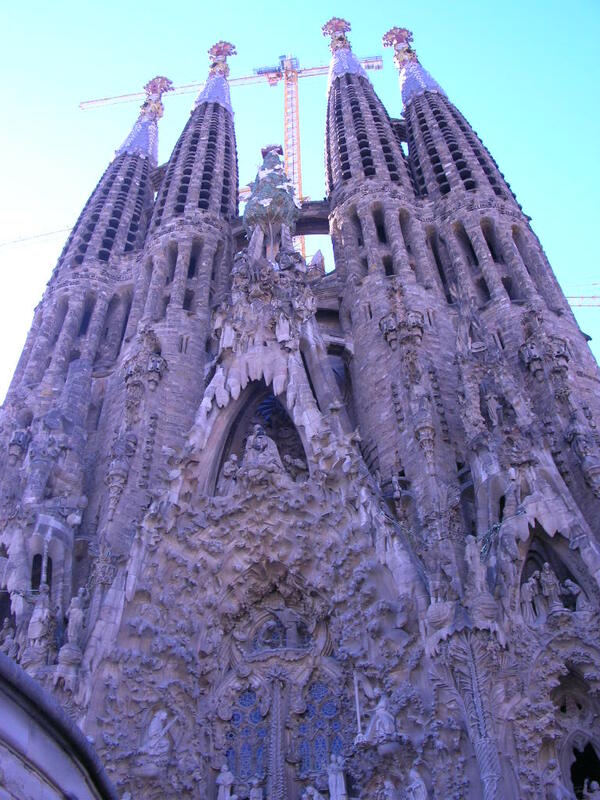 But Gaudi's famous La Sagrada Familia is a must (though to be honest I am not a big fan of Gaudi's work). The city lights of Las Ramblas is the token of the town while, again, football fans should head to the stadium. Make time for Montjuic park and see Barcelona from above, hopefully when you visit the funicular has been renovated. My personal favourite was the long walks in Barri Gothic on our way to Museu Picasso (again, book ahead) that is full of street performers worth mentioning. Note: Try hotel Sagrada Familia. Cheap (EUR 60/night) and close to metro with lots of restaurants since it's a tourist spot.